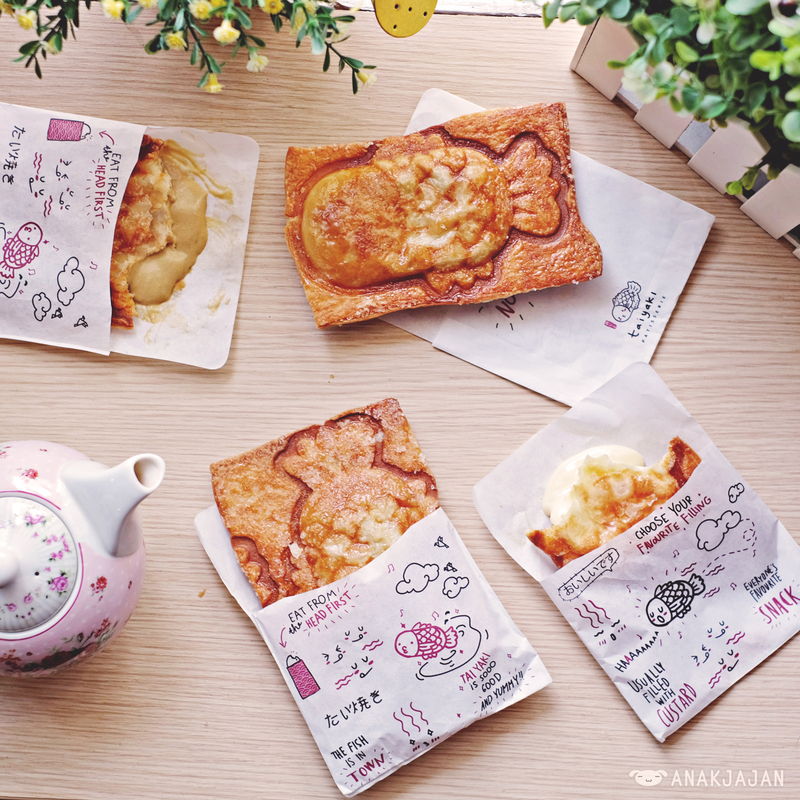 Croissant Taiyaki is a new crossover snacks between Taiyaki traditional fish-shaped cake from Japan and Croissant pastry. 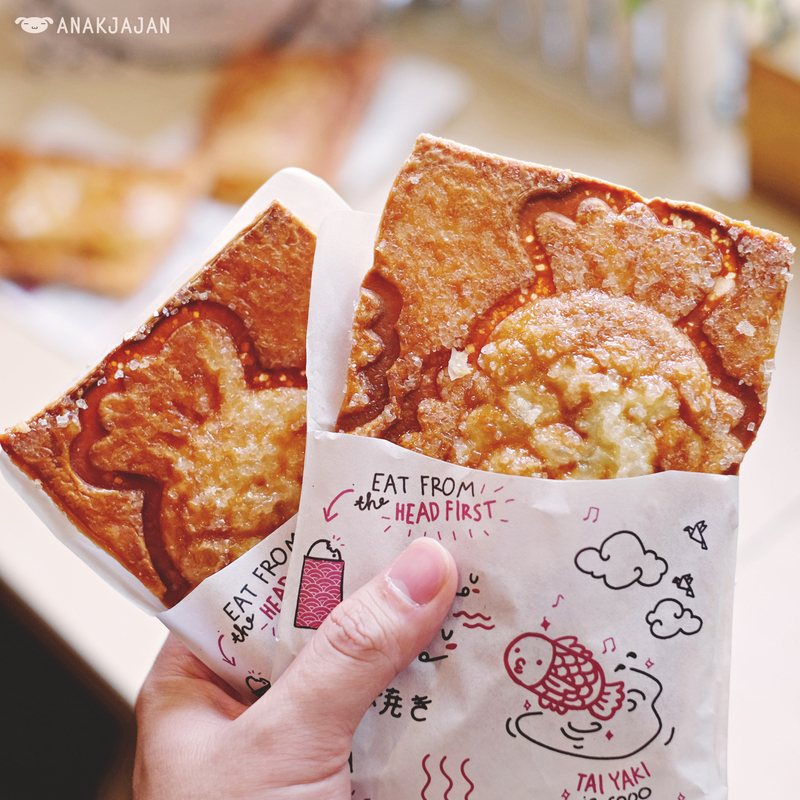 It has been starting to be popular in neighboring countries and finally available in Jakarta Indonesia via Taiyaki Patisserie. Taiyaki Patisserie will be opening their 1st outlet soon in Central Park Mall on 15th July 2015. It is located on the LG floor near Maystar. I’m sure you won’t have any problem finding it because the taiyaki smells soooo good. We just love the crunchy flaky yet buttery texture and flavor from the dough complete with coarse sugar bits on top combined with soft smooth cold custard filling that makes it irresistible. 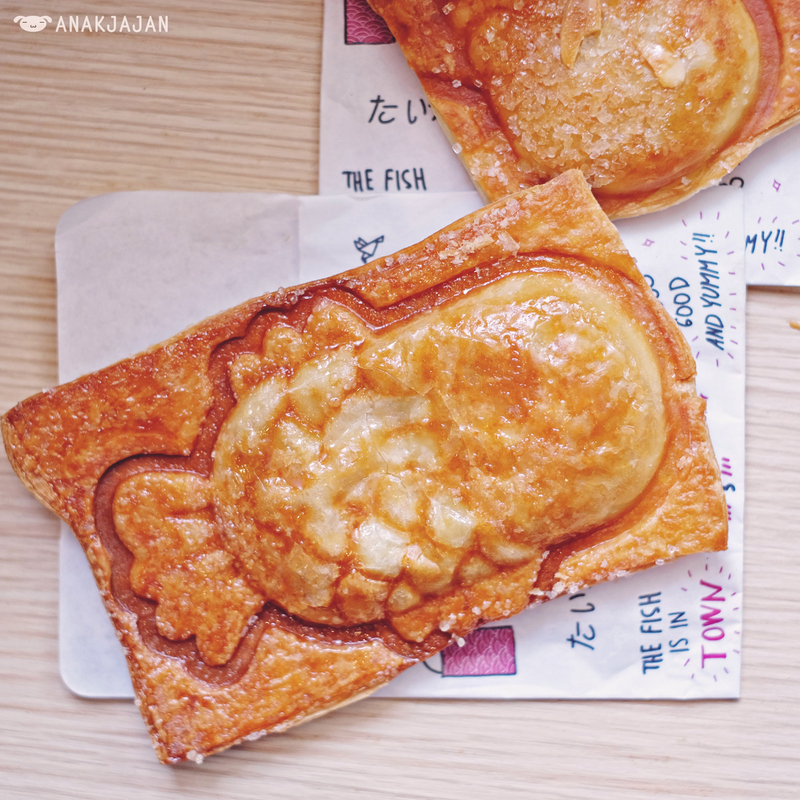 In terms of presentation, the taiyaki also looks very cute with their customized kawaii fish shape mold. 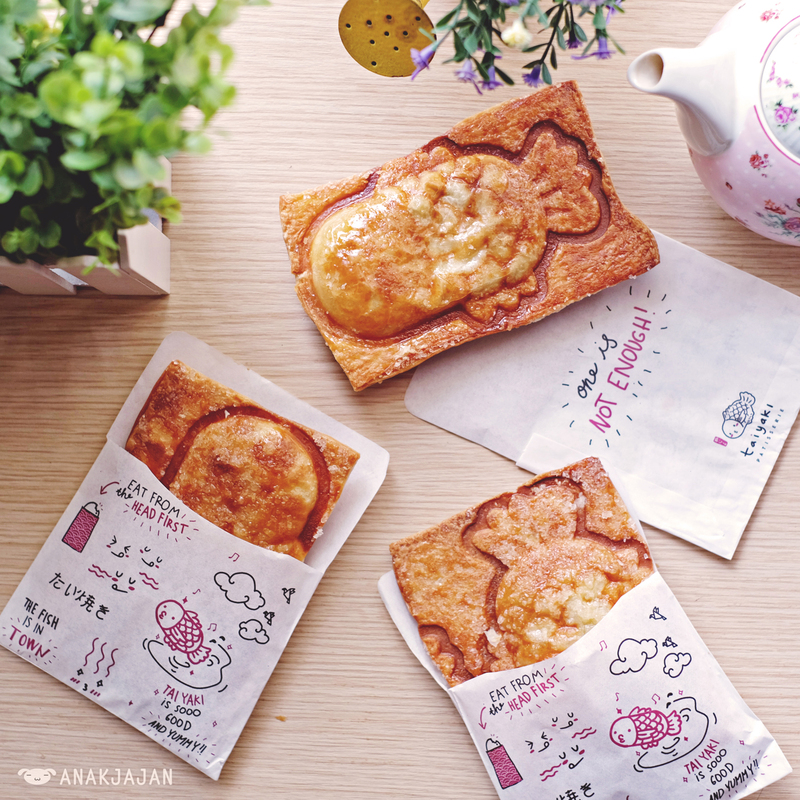 Each Taiyaki cost IDR 25k/ piece or IDR 135k/ box of 6 pieces. There are currently for choices of filling Mocha Custard, Choco Bar, Green Tea Custard and Rum Custard. 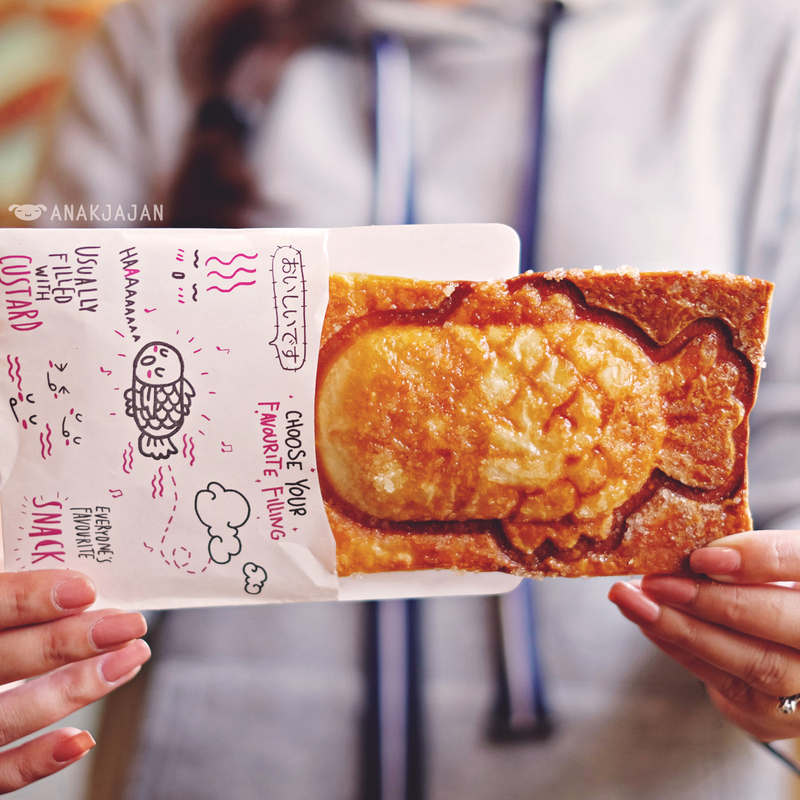 Overall, Croissant Taiyaki by Taiyaki Patisserie was delicious and quite similar with the ones we had in Bangkok. Our personal favorite and recommendation for you would be the Rum Custard, sooo good!! Let’s Jajan!